Anger burns in all of us at one time or another. 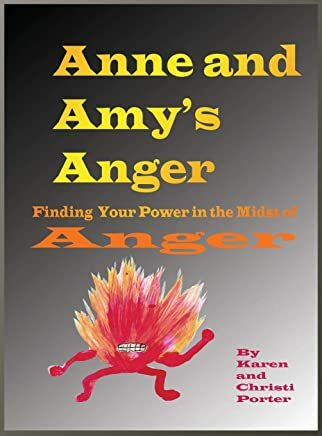 Anne gets angry at Amy when a playdate goes wrong. They struggle with their assumptions and realize together that there is more to anger than meets the eye. Join them in this meaningful read as they see their anger through Emotatude glasses and discover anger’s power. Readers will benefit from Dr. Kich’s anger coping strategies, and a new understanding of how anger moves through life. Holiday stress causes anxiety. Ten-year-old Karen is both anxious, and excited about presents, plans, and festivities this 1973 Christmas tale about her family vacation to Mexico and El Salvador. Humorous mishaps, awe inspiring celebrations of Latino food, culture, and customs make this story a holiday adventure worth reading. Is this a story about Santa? The Three Kings? Or is it a story of something beyond our cultural differences, and a close-up look at our hearts. Read to find out and you will not be disappointed. Conniptions will make people want to act out of anger, nervousness, or fear. How can a person manage to control their conniptions? It is no easy task. Crandle get’s some tips from the famous Emotatude Dr. Kich when he goes to visit him in his Emotatude laboratory and office. Readers will benefit from conniption control tips as they watch a conniption fit control Crandle. Grief can feel too heavy to carry sometimes. It can work its way in our heart. Read about how Gregory moves through his own grief and honors it. Gregory’s Uncle Robert comes to his house and helps him think about what he should do with his grief. Uncle Robert is also a famous Emotatude Doctor who can present Gregory with some new powerful thoughts about how to process his grief. Disgust is all around us. Would you like to see what makes most people disgusted and grossed out? Heebie Jeebies are the cause. Read this book and you will learn what can make you cringe inside when you see something positively yucky. In the world of Dr. Kich there is a science to these feelings we feel that only he can explain. Be prepared to laugh and learn, and maybe you might start to think about what it is exactly that makes you want to close your eyes, plug your nose, or simply run and scream. Joy moves in all of us. Discovering how and where to look for joy reveals a beautiful part of life. Journey with Greg, Doug, Crandle, and Eileen as they meet joy in new ways. 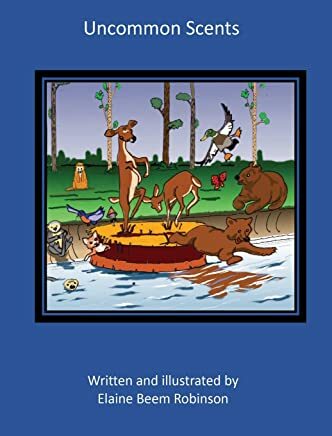 Readers will want to reach for their own joy and share it with others after reading what Dr. Kich the famous Emotatude Dr. has carefully researched and collected in his laboratory, under a tree, in the park. Find out how joy springs forth for Greg, Doug, and Crandle. It is Easter Eve and Kylie and Kayden cannot get to sleep even though their eyes are closed tight and they don’t make a peep. Suddenly, a strange sound catches their attention, drawing them to the window. Outside the moon is aglow and illuniminating a trail of footprints in the morning dew with all varieties of candies bedecking the path. Kylie and Kayden follow the tracks deep into the woods and discover a fantastical secret as well as an Easter challenge. 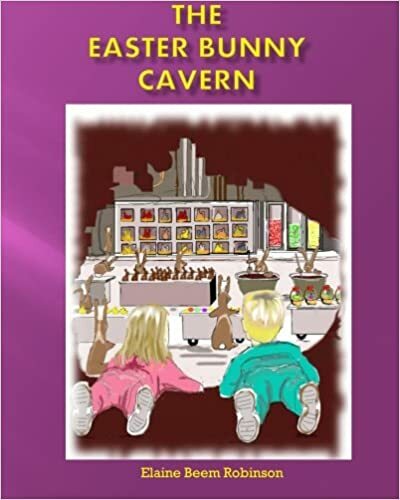 Discover along with Kylie and Kayden the magic and mystery of The Easter Bunny’s Cavern. Is Santa Claus really REAL? That is the question Laney West poses as she and her family members prepare for Santa’s arrival on Christmas Eve. Ever resourceful, intrepid Laney decides to record the arrival of Santa on a video using her laptop camera. When strange noises awake Laney and the other West kids early on Christmas morning, they sneak down the hall to try to catch Santa in the act. But there is noone around except a glorious tree bedecked with beautifully wrapped presents. However, Laney remembers that her video may have actually captured Santa’s visit, if it really happened. 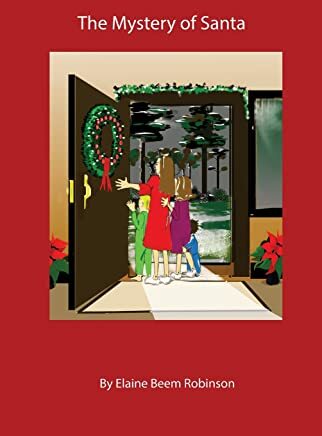 Read what the children discover in this illustrated holiday story, told in the poetic style of Clement Moore. Love is there for all you wish to give and receive it. Have you ever felt warm and fuzzy inside after a loving thought, or deed has been brought to light? You might have just received a warm fuzzy. Your heart will be warmed even further when Dr. Kich uncovers the secrets and the science behind warm fuzzies. His ground breaking emotatude research lights the way to self-discovery of the feelings of love we have in our heart. A mysterious woman sitting on an old-fashioned iron bench in a city park invites three passersby to listen to her stories. Alice, a stressed graduate student jogs in the early morning and is stopped by an impeccably dressed old woman in a purple hat. At noon, Bea, a grumpy city retiree, strolls with her dog Sweetie and encounters a cheerful middle-aged woman dressed in white. Lonely eleven-year old Carol passes through the park after school and meets a nonchalant teenager clad in all black. For five consecutive days the storyteller recounts tales of unicorns, floods, journeys, frogs, and circuses. The story characters are changed for each listener. Which storyteller will the three strangers see on the sixth day when they arrive at the park bench at the same time? Magical experiences teach valuable life lessons to those who understand the stories. This book is a wonderful opportunity to share with a child who is having difficulty following directions and rules. It helps children realize that it is really up to them to decide how they need to behave. The world gives us so many opportunities, and consequences for our actions. This simple book with simple calm cool relaxing colors illustrates the choice each one of us has every day to do what we need to do in life. Uncommon Scents is a children’s story of a kind but bullied little Muskrat named Marvin. Of all the animals in the forest, Marvin Muskrat was the poorest. And he was the lowliest, and the saddest, too. All the other animals were smarter, swifter, and more courageous than he was. Leastways, that was what Marvin believed. But was it really true? Having the Bejeebers scared out of you can make your heart skip a beat. Many people talk about having the bejeebers scared out of them, but do not stop to think exactly what the bejeebers are. Dr. Kich, the Emotatude specialist stops to observe these feelings. He finds that these feelings are little vibratory beings that live inside our hearts that can be touched, heard, seen, and even smelled. They make us feel warmth, love and confidence. Readers will take away a renewed sense of faith in humanity as they explore ways to overcome the fear one feels when they get the bejeebers scared out of them. Comfort can come in many packages.. Bejeebers are comforting little vibratory beings called emotatudes. They live inside all of us. A bejeeber is a pink fluffy loving creatures that keep you feeling warm, loved, and secure. Have you ever had the bejeebers scared out of you? What happened to you that scared you so? Do you remember what you did that made you safe and secure? Have your parents ever had the bejeebers scared out of them? How did they deal with that situation? What made them safe and secure? This book will explain how bejeebers are in each one of us.If you get scared by whatever life brings your way, this book will give you insight on how to repair that hollow fearful empty feeling you get when something scary happens. You will learn positive techniques to limit bejeeber loss and how to maintain and care for the bejeebers you have. Emotatudes are a new way of looking at our feelings. So often we use adjectives to ‘describe’ how we feel. That is valuable, but can lead to misunderstandings when world perspectives are different. Emotatudes are nouns that show us physical proof of the complicated emotions we feel. Getting the bejeebers scared out of you paints a picture of what is happening inside of you when you are frightened. Having a kanipshun tells us more about our inner life than just ‘being angry.’ Having ‘a case of the blues’ explains more than just ‘being sad.’ What do these nouns look like, feel like or sound like? The answer to that question will help us unlock the passion of our inner world’s in living color with sound and movement.